The SR Series differential design is based on a compound epicyclic gearing system offering a high torque capacity and a wide range of reduction ratios in a very compact space. The patented thermo-plastic injection process gives the exclusive opportunity to increase the quantity of planet trains, without increasing the unit's size. The combination of the three motion elements allows solutions to many electro-mechanical drive problems. Very large range of standard ratio : -1 to 260. 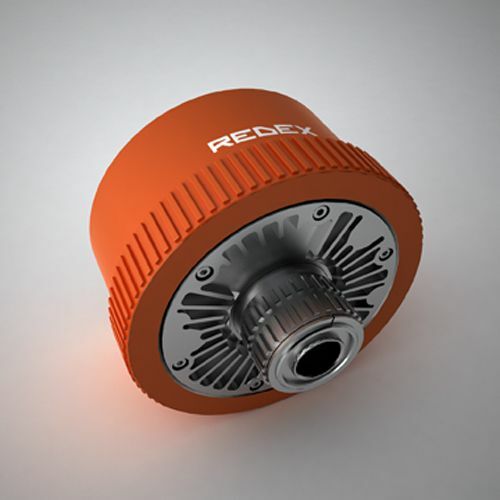 By design, the unit torque capacity can be optimized as a direct function of the chosen number of planetary gear assemblies used.